I think one of the problems we may have in this industry is over thinking the problem, and doing more than is needed for the problem. For example, I upgraded my personal VPS server recently, the one that runs this site and Rats and Rogues. It required a reboot, but because I rarely reboot this box, I keep forgetting that iptables isn’t persistent. I usually remember and restart it fairly quickly when it reboots. The night of the upgrade wasn’t much different. However I messed up the command, being a lazy admin I use the built in tools to do work for me. I love control-r and how it scrolls through your history based on a few characters you type. Well instead of iptables-restore < firewall.rulz I typed iptables-save > firewall.rulz. Yes, I overwrote my rules with nothing. My very first thought was WOOHOO I get to do forensics on my live system. I went to twitter to brag, though I’m not sure if people realized that was the point. @secbuff asked why not restore from backup. He was right. The majority of the rules I have are for blocking ssh brute force attempts (the ones that make it past denyhosts), blocking mail relay attempts, and blocking user account enumeration. While playing forensics would be cool, this is a live host on the internet with services that do get attacked. It would have left the box exposed way to long to the internet, and was a case of over thinking the problem. So I went grabbed a back up file. Instead of uploading it though, I opened it in a text editor, hand sorted the rules by network number, and then pasted them in to the terminal window. I also finally dealt with that persistence issue too, we’ll see if iptables-persistence.dpkg worked right on the next reboot. Oh and since I add networks on a regular basis (when reviewing my logs) I wrote a small shell script to make two copies of the rules in different locations, with a spare backup. This entry was posted in administration and tagged failure, iptables, linux on 2014/01/20 by Chris J. There is a project idea I’ve had for a few months now, tracking what happens to credit and debit cards that get posted to twitter. People are posting pictures of their cards to twitter. If I had to guess, because they are excited, want to show off, and think only their friends can read it. This entry was posted in Class, OSINT and tagged bank card, credit card, debit card, fraud, osint, pictures, twitter on 2014/01/19 by Chris J.
I’ve just finished The Private Investigator Handbook: The Do-It-Yourself Guide to Protect Yourself, Get Justice, or Get Even by Chuck Chambers, P.I. The book’s subtitle is the key. The Do-It-Yourself Guide… I’ve been thinking of getting my P.I. License, it’s required to do Digital Forensics in the state I live in. I figured if I was going to do that, it would probably be a good idea to read up on the subject. This book isn’t a how to be a private investigator, it is a book about doing a lot of the leg work that the P.I. is going to charge lots of money for, yourself before hiring a pro. Some of it, you may get lucky and working with your lawyer not need a Private Investigator for. For the most part I was disappointed with the book. My disappointment stemmed in part about the book not being what I was expecting. The first several chapters on finding and hiding assets, creating case files, social engineering, and the like, I think the areas are covered better in other books (See Michael Bazzell). However, the book really comes through in the last couple of chapters and the appendixes. Chapters Seven and Eight are Surveillance and Counter Surveillance. Again, while I think other books cover this better (see Antonio Mendez), this one breaks it down so anyone can learn it. Where as the other books you have to think about what they’re telling you. Lastly the chapter on missing persons was pretty good as well. There were things he didn’t go in to deep details on, but there is enough information there to get a good jump on finding someone that is missing. Over all I’d say this a a three out of five star book. As I said some of the topics covered are covered better in other books. There are several times in each chapter that Mr. Chambers is reminding you he’s not showing you everything, and you need to hire a professional. You can just save yourself some time and money first. This entry was posted in Books Shelf and tagged book review, osint, Private Investigation on 2014/01/13 by Chris J. What I think should be on your book shelf. Recently a Professor asked me what 5 fiction books someone new to Information Assurance should read to get a feel for the Cybersecurity industry. That got me thinking. What should someone in Cybersecurity have on their books shelf? This book teaches time management tricks and techniques to System Admins. However don’t hold that against the book. Published in 2005, this is the number one book I recommend anyone in any IT related field reads. While it’s a little dated in some of the technology, the methods Mr. Limoncelli teaches are worth it. It is probably the number one book I recommend to everyone. While there are other books out there that people like, like Get Things Done, or home brewed systems, this is the one I found that resonated with me. It’s more than just managing your time at work, it covers how to manage your work life balance. Sometimes people ask me how I do as much as I do. This book is secret. One thing I’ve seen again, and again, in our industry. People lack social skills. We get along fine amongst ourselves, but dealing with non-technical people we get a little short. Mr. Dreeke isn’t a technical person. He’s a counter terrorism expert for the FBI. What this book is, is his top ten techniques to talk to anyone. While this book has been popular in the Social Engineering circles of our industry, it’s one of those books that everyone should be reading, just to learn how to interact. Using these techniques will leave one feeling more fulfilled, and surprised at the doors that get opened. While some people have problems accepting it, our industry is moving away from letting our code and technical skills talking for us. Like the book above about talking, this is one of the go to books for writing. The book is designed to improve the writing skills of anyone working through it, regardless of how good a writer the person is to start with. In an industry where writing is becoming more important in our Reports and even text communication, we need to find something to step up our writing skills. I like this one. Reading this book, made me stop several times and try to figure out which of authors I worked with previously. Then I realized, we’re all fighting the same battle. Our biggest roadblock is ourselves. We have large egos, and see everything from a technical standpoint. There is a problem, it’s technical, or the solution is. However we lose sight of the fact, we only have our jobs because of the business side of the house. While the story in this novel follows someone tossed in to the role of VP, some of the topics covered in the book will improve anyone in IT’s relationship to the business. This book is written by the people at 37 signals. It really does give the reader a 21st century view of business, and how to be successful. My whiteboard at work has a quote from the book on it, it’s about 7 one line bits, but content from this book is over the top useful. It covers the basics of everything a Company, Department, or team would need to be successful and how. Mr. Doctorow’s Young Adult novel about a teen and his desire to strike back at a corrupt government that became very draconian, after a bombing in his home town. While some of the things mentioned in the book don’t exist, a lot of the tech, and the descriptions of how to use it were. This book reminds the reader that it only takes one person with determination to start an army and strike back at Big Brother. The follow up to Little Brother. Classic style cyberpunk. It has everything. The VR world, the dystopian future, double crossing conspiracies, corporation owned walled cites. This book gives us an idea of using a computer program to reprogram peoples brains along with quite a few other things. These two books are one larger story, a software developer creates an AI, and using his gaming engines recreates society in the real world. The Darknet is how those in the new society communicate and interact. It’s currency is a lot like the Bit Coin trend we see going on now, The Governments of the World and Big Business don’t like the way things are going. Really this shows a lot of Geek Culture and where it could go as things like Maker Spaces and others come on line. The technology helps form the way. While this one reads like a fantasy novel, it’s pretty much where Cybersecurity started. While there were other people doing similar work this one shows the things they had to go through to get it all started. Setting up a paging system to contact the admin when a user logged, so the admin wouldn’t have to sleep at the office. Creating packet capture devices using printers. Working with the Government and private industry to track a phone call to another country, and having to create “interesting” data to keep the attacker on the line long enough to perform said trace. * Note, all the links do go to Amazon, no I don’t have an affiliate program set up. It was just convenient. Agree, Disagree, or want to add a few you think we have, add them to the comments. This entry was posted in Books Shelf and tagged firsts, what to read on 2014/01/11 by Chris J. Looking at twitter the other day, I’m left wondering whatever happened to people working for news agencies doing research, has researching things you see died? 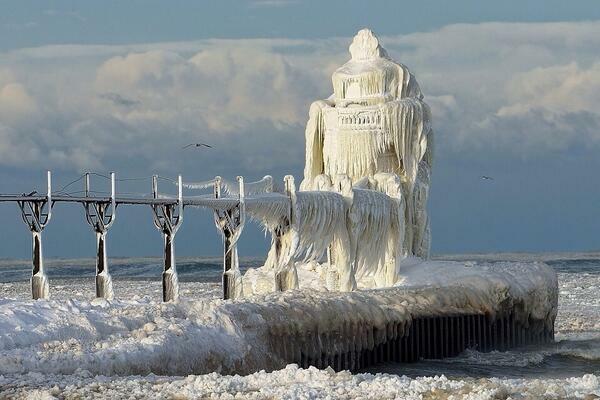 @ScottyTWN this is crazy!! Can we use this photo on CNN?? Tweet me!! Looking at Mr. Morrison’s information he does work at CNN as a photographer. So you would think he’d actually be diligent enough to make sure he was asking the right person for permission to use a photo. I’m not trying to shame or insult Mr. Morrison, I’m just surprised at the instant request for usage without digging any. So the question is, what ever happened to people researching things and doing a little leg work? This entry was posted in OSINT and tagged pictures, twitter, winter on 2014/01/05 by Chris J.